Left to right: Henning Scholtz, Head of Ecolabelling RAL; Markus Kelch, Environmental Management Konica Minolta Business Solutions Europe; Dr. Andrea Rimkus, responsible for Ecolabel applications at RAL; Ingo Brecher, General Manager DFS Druck Brecher GmbH; Rüdiger Wollmann, RAL Chief Executive; and Axel Fischer, INGEDE. For the first time, a print house has received the German ecolabel “Blue Angel” for printed matter produced by digital printing. So far only offset printers had applied for the RAL‐UZ 195, as it is named officially. Cologne based DFS Druck Brecher is already in possession of the desirable ecolabel for their range oﬀset printed products – books, flyers, posters, diaries, advertising supplements, and newspapers. Now they can use the label also for brochures, leaﬂets and catalogues produced with Konica Minolta dry toner laser printers. The prints of the bizhub and Accurio model series are good deinkable – as other dry toner prints by machines of competitors – and qualify for the ecolabel, unlike most inkjet prints. 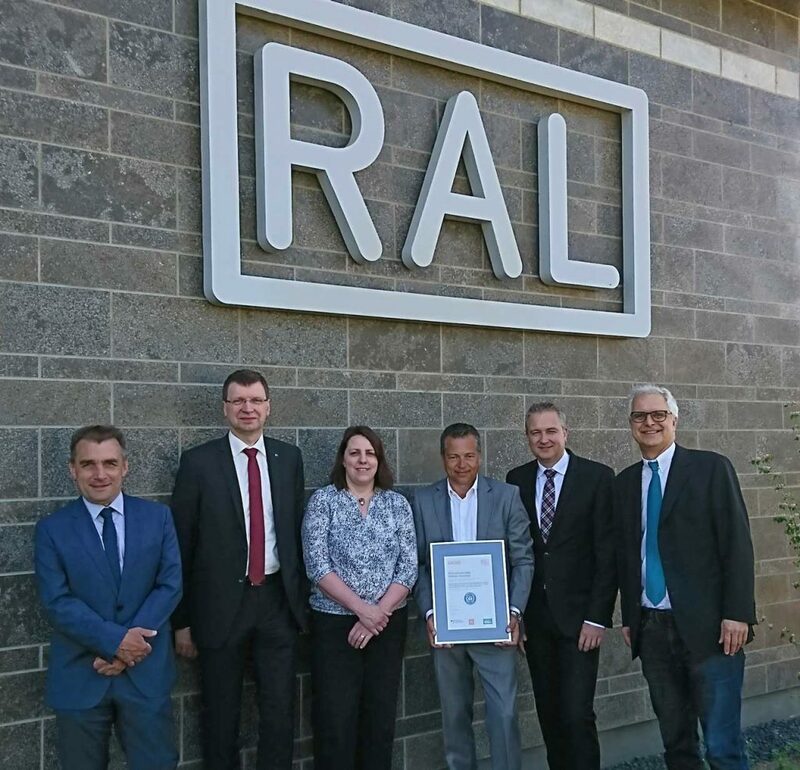 RAL’s chief executive Rüdiger Wollmann emphasised the growing importance of environment‐friendly production processes, qualiﬁed by the Blue Angel, as he handed the certiﬁcate to Ingo Brecher. For INGEDE, Axel Fischer applauded the engagement of the print shop for recycling‐friendly products. The criteria and the rewarded product group can be found here. Products and services awarded with the Blue Angel are more environment‐friendly than conventional ones. 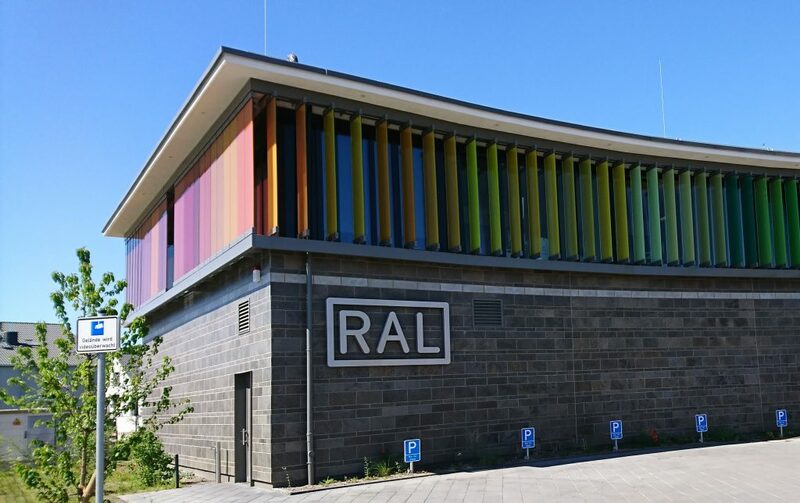 The criteria are developed by the Federal Environmental Agency and adopted by the “Jury Umweltzeichen”, RAL handles the applications and certifications.